Merrick Hilton's done a runner. His folks think he's studying, but the real world has been calling for years and he can't ignore it any longer. A postie bike, a bedroll and a big sky - that's all he needs. But there's no telling how he'll handle the rough stuff, let alone roadkil... read full description below. Merrick Hilton's done a runner. His folks think he's studying, but the real world has been calling for years and he can't ignore it any longer. A postie bike, a bedroll and a big sky - that's all he needs. But there's no telling how he'll handle the rough stuff, let alone roadkill, stolen oranges and unexpected romance. And in the real world nothing goes entirely as planned. Thankfully Victor - the old bloke he meets on the road - knows a thing or two about broken bike chains. And broken hearts. 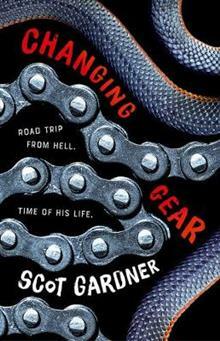 Scot Gardner became a writer after a chance meeting with a magazine editor while hitchhiking in eastern Australia. Magazine articles led to op-ed newspaper pieces and eventually novels. Scot's first fiction for young adults, One Dead Seagull, was published after he attended a writing conference with John Marsden. More than a decade later, his many books have found local and international favour and garnered praise and awards for their honest take on adolescent life. They include books like White Ute Dreaming, Burning Eddy and most recently Happy as Larry, winner of a WA Premier's Book Award for young adult fiction, and The Dead I Know, winner of the CBCA Book of the Year Award for Older Readers. Scot lives with his wife and some koalas in country Victoria.